Got any plans this weekend? I plan on saving the world from evil. You can, too, by participating in the Diablo III open beta. 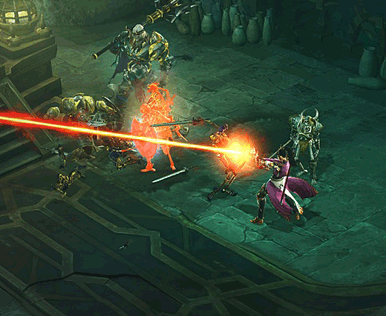 Blizzard’s latest installment in the Diablo series of fantasy role-playing games is due to be released in May. In the meantime, the company needs to perform stress testing of its servers, and you can help by downloading the Diablo III beta and playing the game online. The beta has 13 levels, and you can play each of the heroic classes. You must have a Battle.net account to participate, and signups are free. The stress test period lasts only until April 23 at 10:00 a.m. PDT, and Blizzard says that it’s possible that you will experience performance problems—it is a stress test, after all. Diablo III is a highly anticipated game, so it’s very possible that you’ll have problems just logging into the game. But it may be worth it, especially if you’ve long been craving for some Diablo action.